Back to the origins in order to advance. This is the philosophy that defines the paleo diet (or paleolithic diet). It's a diet based on the foods ancient ancestors might likely have eaten, such as meat, nuts, and berries, and excludes food to which they had not yet become familiar, like dairy. The Paleolithic era was a period lasting around 2.5 million years that ended about 10,000 years ago with the advent of farming. It was characterized by the use of flint, stone, and bone tools, hunting, fishing, and the gathering of plant foods. Although in recent years there has been an increase in cult of the body, a rise of fitness centers and professional beauty centers there is a problem that has not dissappeared in all modern societies: the overweight. It is not surprising, considering that modern factories develop large amounts of processed foods rich in sugars, carbohydrates and highly addictive fat. And this is what you should not eat in the paleo diet to be successful and achieve a habit of wellness and healthy life. and finally, tubers and roots. It is exactly in this last block, in which tiger nuts (cyerpus lativum esculentus) can play a major role in this diet. World famous for being the star ingredient of horchata, tiger nuts have much more to contribute to nutrition. In recent years, it has been discovered that it contains an extraordinary source of nutrients. For example tiger nuts could be a good substitute for some vegetables. Tigernuts are very rich in protein and magnesium and there is a lot of innovation happening regarding this tuber. It's vegetal origin gives the ideal characteristics to produce a lactose-free milk, which is natural and free of fats. Perfect for breakfast. Being also an extraordinary source of insoluble dietary fiber (even more than chia and plum), natural tiger nut flour is getting more and more popular. 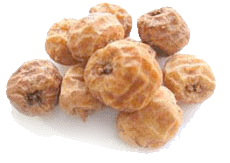 And even more: the nutrients of the tigernut, according to scientific studies, help control diabetes, prevent cancer and cardiovascular diseases and provide numerous benefits for the heart. Tigernuts also help slow down the aging of cells and control blood pressure and regulate muscle contractions and digestive functions. The tigernut is undoubtedly much more than delicious horchata. It's recommended in the paleo diet because of it's high sugar content. Including tigernuts in your diet is an original way to discover new flavors.